First and last months' rent. You would be totally shocked if you went into an apartment building to lease an apartment and they told you to come back with the first two months rent in cash, would you not? Yet in Mexico, it is not unusual. With the help of the Intrepid Elise, property manager extraordinaire, in my second year I secured a two bedroom, well-appointed apartment on the third floor of one of my favorite complexes. For a 5-month stay the rent was $900 a month. I was asked to pay in cash, from which she took her commission and money for upkeep of the place, paying the housekeepers, the utilities and the airings. She deposited the rest into the owner's Mexican bank account, and gave me a detailed receipt. Had I not lived with Elise as a room-mate for five months in Mexico and known her to be honest, the whole arrangement would have sounded quite fishy. Lacking that, you have to talk to people and get on line on forums to find the right people to rent from and reputable (as well as disreputable) realtors. The 80-unit building offered a upfront and personal look at the Pacific in that there was very little to break the waves that crashed over the patio. Once a hotel, it had an ornate marbled foyer and 24-hour front desk security. Martin and I traded ghost stories when I came home late. The building also had a climate-controlled pool (meaning they'd pump in cold water) big enough for laps and reliable internet. Arriving in June, I had almost the entire building to myself. Apartments you rent for a year or more often come without appliances, including refrigerators, ovens and air conditioners. These condos however were second homes owned by Americans and Canadians so came well-furnished. When second homes are put up for sale, furnishings are almost always included. As a part-time expat, you most likely will be renting from a fellow expat. Outside the protective custody of a good property manager or realtor, if you are renting a place, you will want to check for unpaid phone bills. If something needs fixing once you move in, you likely will have to pay for it yourself. Landlords have different customs here. This is not as big a deal as you think because small things, like having a rug cleaned or an additional lock installed are so cheap. If you happen to land upon a Mexican landlord, any improvements you make is theirs to keep. I have read of renters who made such great improvements that landlords raised the rent. To get the very best deal on rent, cash is still king. Once Americans become landlords, sometimes they take on the local customs, as did this owner, who didn't want to fool with cutting checks to Elise. Obviously you should be cautious when owners demand cash, but don't automatically conclude that a scam is going on if they ask for it. Mexico is still a cash country, making reputations of all the players of key importance. You must check realtors and owners reputation with others who have time in the area, or have a carefully sought realtor/property manager, with online reviews that you verify. I have wired money directly into the owner's account for rent, paid rent monthly in cash, and given realtors personal check for rent payments. Forms of payment are all over the board. You should request that that deposit to be applied to the first month's rent. It was to hold the place, after all, not a security deposit. If I have made a security deposit and kept the terms to get it back, I casually tell them in my chirpiest voice in the final month that I have deducted it from the rent to "save them the trouble" of arranging to refund the money back to me after I've left the country. Being greeted at the door by the only thing that mattered. This place is in the quiet North end of the city. Many people prefer historic districts in Mexico’s cities for the colors and life. My friends in Mazatlán's El Centro area didn't understand why I’d chosen to live outside the buzz of its town plazas and bars. But in my second tour, I was still adjusting somewhat to Mexico and the quiet beach up north was where I wanted to be, with evening walks and buenas-noches of the few people I passed beneath bougainvillea and hibiscus-canopied sidewalks. Coming off-season is the perfect time to write a book or develop a business plan. You can catch up on reading, sew, or plot a revolution. I read a lot, discovering new blogs, such as “Brain Pickings,” which I love for the quotes on topics like darkness, solitude and unrequited love and even “Cracked' with unusual articles like why old horror movies really were scarier. Off-season is a great time to do research. It was great time to read genres I never read and think thoughts never thought. Expats often remark in forums how living in foreign country gives you time to get to know yourself again. While it would tempting to follow these introspective pursuits forever, “harbors are not what ships are built for.” There comes a point where you must venture out and engage. This time of relative solitude eventually gave me the strenght to wrestle with the Spanish language, to be comically misunderstood and newly enlightened at once, to feel worldly and vulnerable, confused and bemused. Finally it became time to go out. Next up: Well, maybe it's not the biggest reason that it's better to work from Mexico, but it ranks if America isn't amiable to your circadian rhythms. Most recent: You don't learn about the Big Day at the airport from people who are polished professionals at traveling, you learn from who aren't. That would be me. Kerry Baker is a partner and writer for Ventanas Mexico which helps those who wish to explore living full-and part-time in Mexico. 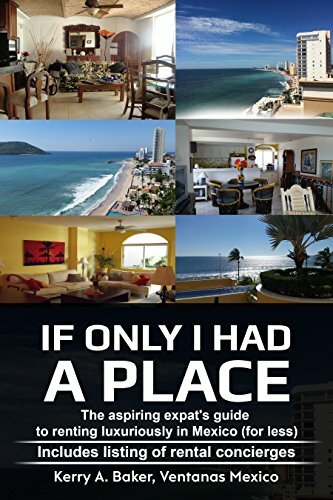 She wrote two books, the most latest is "If Only I Had a Place" on renting, which includes rental concierges in the most popular areas for expats and how to avoid the pitfalls of renting in Mexico as an expat. 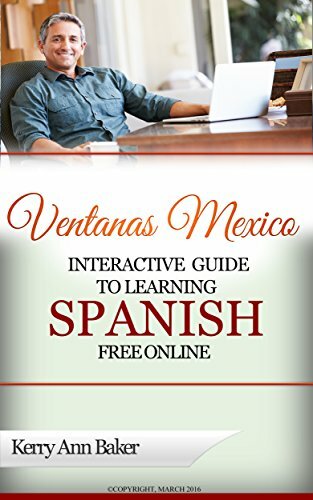 She is also the author of the "Interactive Guide to Learning Spanish Free Online." a curation of the best language tools on the web, organized into lesson plans.